A case of mistaken identity places the Doctor in danger at the O.K. Corral. In my last review, I complained about the balance of the episodes; too many series parts and not enough fun parts. Well, with the Gunfighters that balance went out the window into silly but still mixed with fun. 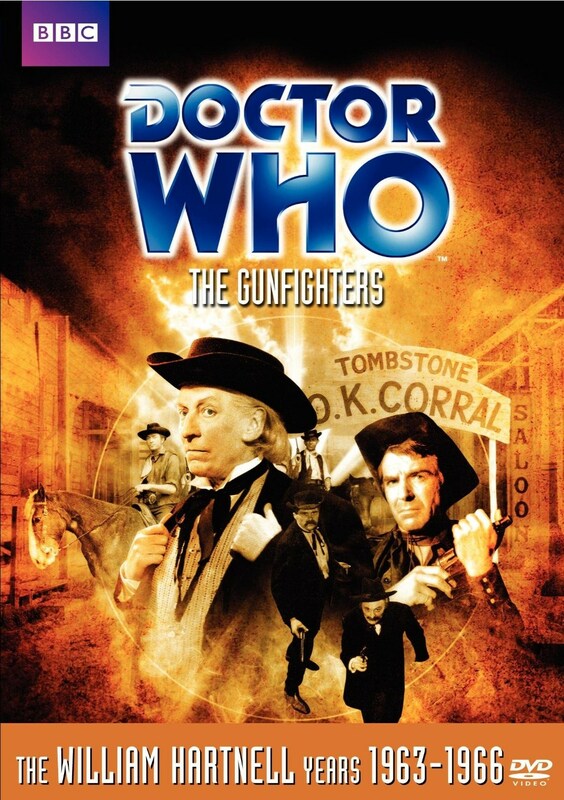 The Doctor, Dodo and Stephen find themselves in the heart of the Wild, Wild West when they arrive at the O.K. Corral. The Doctor finds himself mistaken for Doc Holiday and that’s when the adventure begins. There’s a lot of build up towards the famous gunfight of the O.K. Corral. The thing that drives me nuts about these episodes would be the use of music. There is a song that plays between scenes and it doesn’t really play out as well as it should have. It was catchy the first time but then it starts to distract from the story, which is actually entertaining. It’s as if the writers wanted to create a musical episode without having to put in the work. And it’s the first time in which I’m not annoyed with Steven as a character, though it was borderline for a majority of the serials. The story could have been ridiculous and I have read a variety of reviews in which the episode is poorly received. It wasn’t as bad as it could have been. There’s an earnest quality about the storyline and the comedy involved is charming. I believe that this episode is one of those in which you either love it, tolerate it, or loathe it. It’s not a strong episode but I found it fun and do recommend it for the casual Classic Who viewer.